Discover how local government agencies around Australia are leveraging cloud services to revolutionize how associations operate and, ultimately, enhance services for citizens. 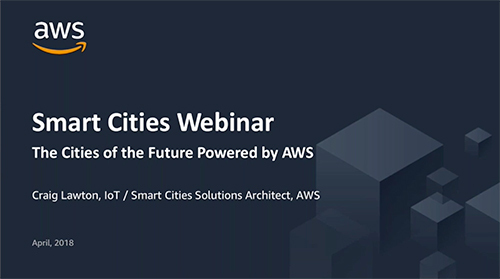 Hear how Australian local government agencies are improving internal processes and productivity and learn about their Smart Cities & Citizen projects. 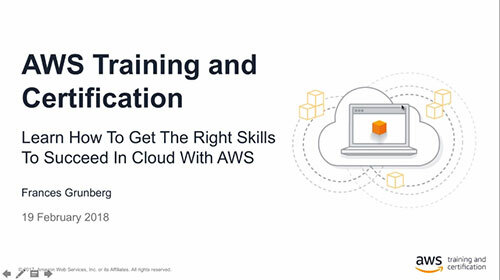 There is a breadth of AWS training options available across Australia and New Zealand led by AWS, ranging from self-paced, digital courses, and in-classroom style sessions. 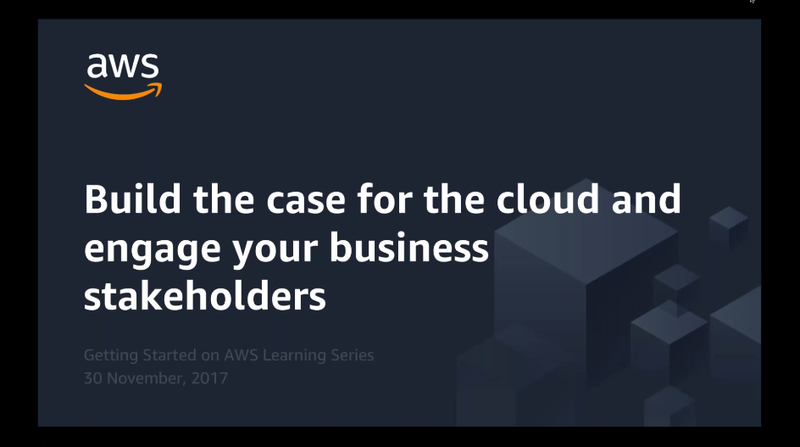 During this session, we will dive into the different training resources available and discuss how these solutions complement one another to help you get the most of your cloud investment. Cloud computing gives you a number of advantages, such as the ability to scale your web application or website on demand. Join us in this session to understand best practices for scaling your resources from zero to millions of users. 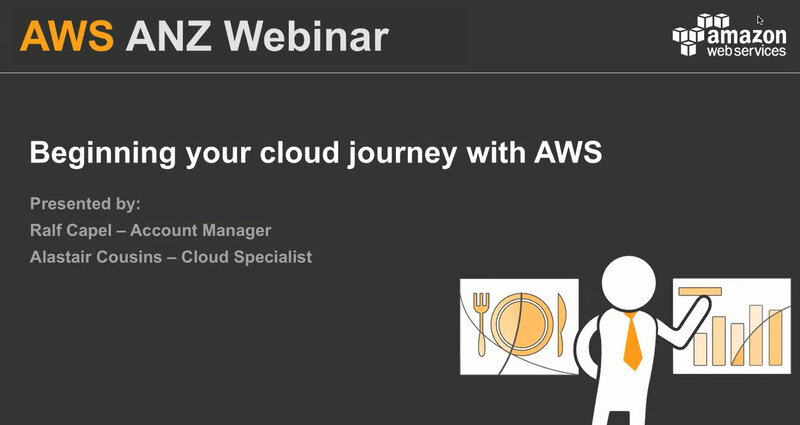 We show you how to take your first steps on the AWS Cloud, explain how to make smarter decisions for architecting your application, and demonstrate the best way to scale your infrastructure. Aside from greater speed, agility, scalability, security, availability, reliability, and flexibility, AWS Cloud allows you to save on Total Cost of Ownership around IT infrastructure. 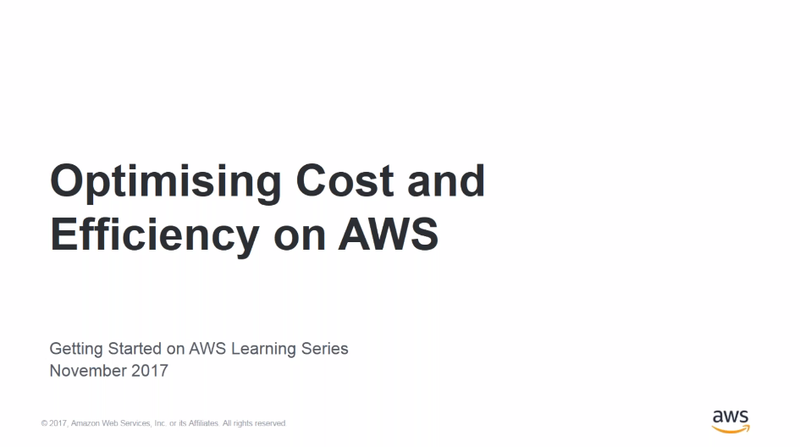 Join this live webinar session as we share best practices customers employ to cost-optimise their AWS environment. This includes right sizing, scheduling instances to reduce costs, storage optimiisation, how you can save using reserved instances, as well as a look into the relevant tools to support your optimisation efforts. Migration of enterprise applications to a cloud-based infrastructure will impact and change the daily operations of multiple teams and business functions across your organisation. Early engagement and education around these changes is critical in order to ensure organisation-wide support for your cloud migration program. This session will identify common questions seen from business stakeholders and provide advice on how to address them. Topics include pricing constructs, contractual terms, purchasing and service consumption, invoicing, security, and operating models. What are monoliths, what are microservices, how do containers fit into the picture, and how do I do this all in production? In this webinar, we will explore the reasoning and concepts behind microservices and how you can transform monolithic apps into microservices. We will discuss how containers simplify building microservices-based applications, and we will walk through a number of patterns used by our customers to run their microservices platforms. 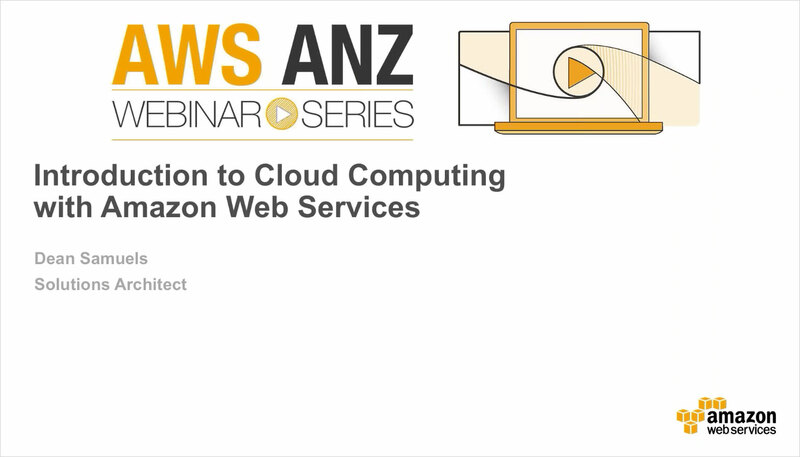 Join this informative introductory webinar, presented by Daniel Hobson, Associate Solutions Architect, Amazon Web Services. performance and scalable applications using the AWS platform. Daniel has worked with the digital delivery of some of largest sporting events and has a passion for large scale web architectures. We live in an API driven world. 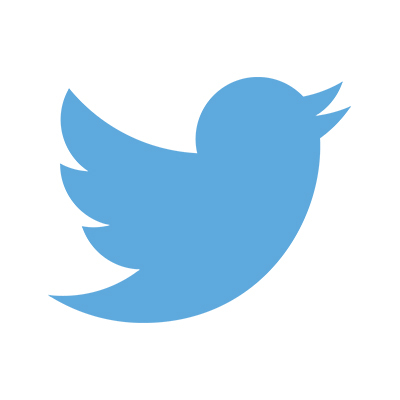 They are one of the key elements in getting our applications to talk to one another. Understanding how to build a robust, scalable and secure API is critical to ensuring your applications can communicate in this world. Come and learn how to develop a modern server-less API easily on AWS. Join this webinar to find out why so many businesses these days move to the cloud to get agile, innovate and reduce cost. We will discuss the cloud journey, from early workloads through to all-in deployments and we will explain key features of the AWS platform that will enable your journey. 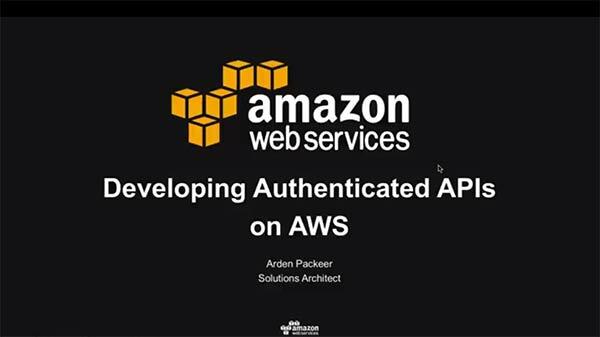 You will learn how to create your first AWS account and how to spend your first few hours on the platform in order to set yourself up for success. 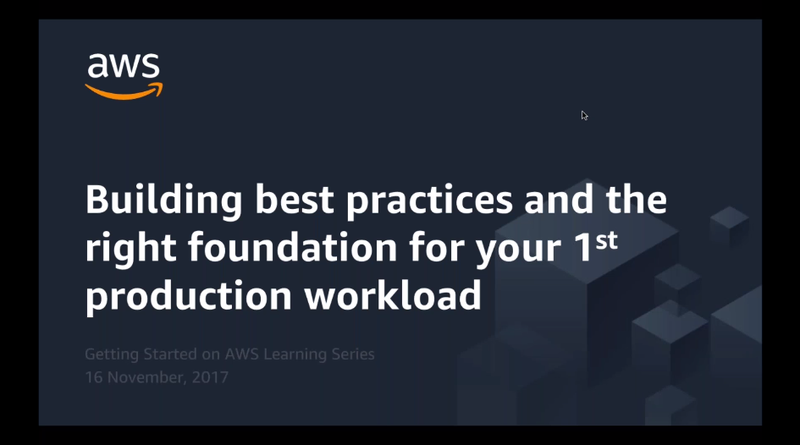 After this you will be able to build security and automation into every layer of your deployment and to make use of key AWS’ features to reduce the heavy lifting of IT. 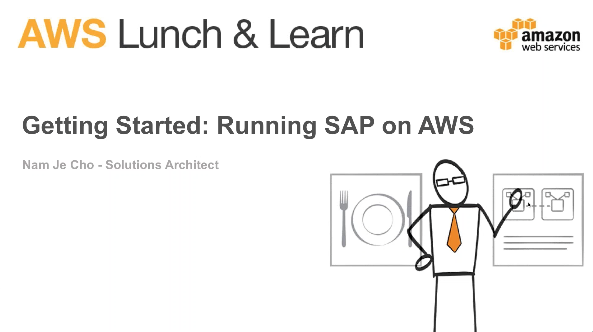 Gain access to on-demand sessions delivered by AWS subject matter experts. Whether you are running applications that share photos or support critical operations of your business, you need rapid access to flexible and low cost IT resources. The term "cloud computing" refers to the on-demand delivery of IT resources via the Internet with pay-as-you-go pricing. Whether you are a startup who wants to accelerate growth without a big upfront investment in cash or time for technology or an Enterprise looking for IT innovation, agility and resiliency while reducing costs, the AWS Cloud provides a complete set of web services at zero upfront costs which are available with a few clicks and within minutes. 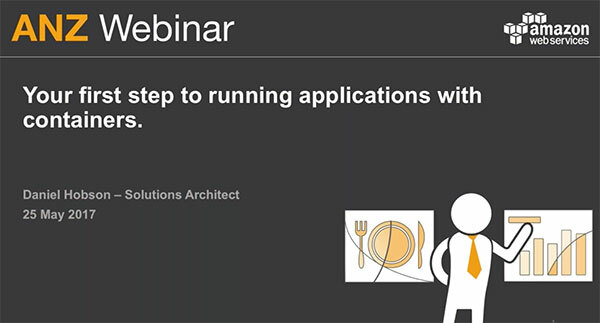 Join this webinar to learn more about the benefits of Cloud Computing.